Remote shores beckon in the moonless night, dimly illuminated by the light of a thousand stars. This is the place for role playing anything on school property. It includes the outside pens and anything inside the electric fences. Only Scientists, Hybrids, and Guards are allowed to enter this area. It is private property and any trespassers will be removed. The School is located pretty much in the middle of nowhere. It is surrounded by a dense forest and heavy steep mountains. The forest is lush with greens light and dark that hide the building and roads from complete view from any travelers in the distance. It's mostly like this in the summer and spring. In the autumn the woods turn into a vibrant wilderness of warm colours, such as red, goldenrod, browns, oranges and plain yellows. The school is slightly visible but the colours are almost blinding, so any nearby travelers ignore it. Finally, when winter rolls by and the trees are stripped bare of their colourful leaves, leaving the school out in plain sight, however, due to the several 'private property' signs planted around the facility no one dares to trespass. We can't forget the rumors that do spread around the seemingly 'abandoned' school. As you enter farther into the privately owned land, the school comes into view. 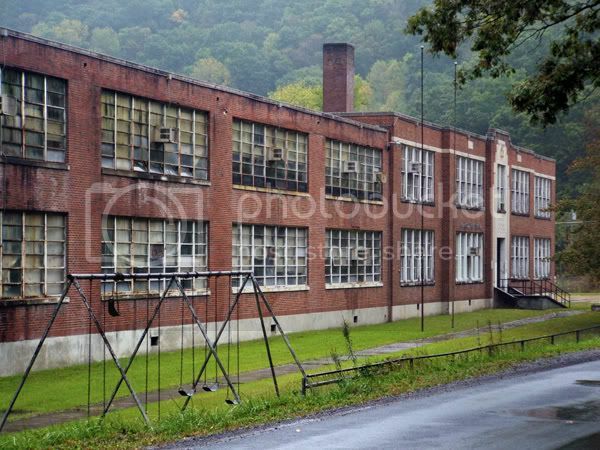 At first glance it looks like your typical 'run-of-the-mill' elementary school with swings and so on though you would be quick to realize that it's abandoned, or so it appears. If you travel closer you can hear strange noises coming from the buildings. Turning to your right, you can see a few windowless or tinted vehicles parked in the stone path to the east entrance. Turning around to face the west of the building a fence comes into view. It looks like a normal school fence from the distance but as you travel closer with curiosity, you see that it's not only barbed wire, bit it's also electrically changed. "What the hell?" You must think coming upon this strange fence. But there is more. Cameras are set up all around the perimeter. I suggest you leave as soon as possible. This place is known to those who dwell inside as a 'Hell Hole'. They would wish this not against their most hated enemies. Still ever curious, you'll probably enter the building through the front door and what a surprise it is inside. It's pure white, with light green tiles. Cameras are everywhere. The lights are bright, so very bright. There are no shadows here to hide, only one you make as you walk further down the hallway. So it appears that there are many rooms here, all closed, all with numbers on them. If you open one of the doors farther to the south of the building, left side, you'll discover dog cages, kennels. "Animal experimentation?" You might think. You're half right. Here are where they keep children, yes you heard me correctly, children. Alive, mutated children. They aren't human anymore. they are abominations, a creation by scientists who decided to play 'God'. They are piled, one on top of the other, stacked against the right and left walls. It's horrible. You turn your head away and would probably dash down the hallway. Another room with bigger kennels. More rooms, some completely black, others as white as the hallways with the bright lights as well. There is something more horrible, the testing rooms, the iron tables where they strap the children to. A cold shudder runs down your spine as you twirl around to look away. We can't forget the Scientist's lounge and commanding stations, that's where you charged into blindly next. they saw you and now you are running for your live, you human born child, you pure breed human. The alarm sounds, such a noisy thing. There are barks and snarling noises from behind you. Do you dare turn around to see? Yes. Yes you do. Half human beasts with parts of wolves, Erasers. Heart pounding, sweat running down your neck. You attempt what so many have already tried to attempt before, the final escape. Too bad you won't make it. The Erasers are faster, and you're only human. They tackle you to the ground as you scream and kick for freedom. The exit is so close, barely within your grasp, but not close enough. "Welcome to the School, your new more... pertinent home." Ok, if you are reading this than please make sure you are ready to have eyes in the back of your head, be ready to fight, run and hide. So far, all those who get involved with this 'School' are hunted for one means on another. So decide carefully if you want to join us or if you would rather want to stay safe at home on your couch. 1. beware of any model looking humans in their early 20's or late 30's. 2. be ready to fight to stay free and to stay alive. 3. most likely if they are after you, you are like all the others in the school, a human hybrid. 4. also be aware of guys in white coats, they are evil and completely Nuts! Storm's eyes flew open, her body had become accustomed to waking between the hours of 1 to 2 am. It only took a moment for her sleepiness to vanish. A smirk was clearly shown on her face from eerie green light in her room cell as she sat up. She stood up and was at her cell door before long. She had this planed for months, learning how to weaken the right bars and not have it be noticeable, less found out and the idiots replace the stupid bars... No, she would bust from this cell and be a cannon fired away from this evil place. The smirk was for the "lucky hybrid guard or Eraser" who got her cell number to check on. She grabbed the steel bar that held the door's hinge on it and focused on freezing it a little and waited for it to rust in the warm room. Once it was a nice copper brown she stepped back and kicked the rusted pole. It broke off it's hinges easily and for lupus speed the door would have crashed against the wall on the far side of the room her cell was in. However, she caught it just before it hit the wall and ground, which would have created such a log clatter and her escape would have been over before it even started. Storm laid down the door softly only the ground so only a very audible tinkish sound was heard. A few minutes later and she was dashing down halls the a bullet from a gun, and created no more sound than an ant crawling on the floor. 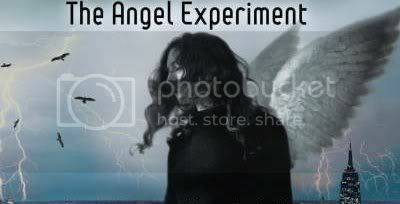 The route was easy, it didn't matter where they put her in the maze of cells and labs, her avian compass lead her the quickest route every time. She rounded the last corner and glared at the 5 black shaped hanging in the middle of the hall. They where looking at her with various smirks and grins. There golden eyes shown in the little light that trickled in from the high small windows that were randomly put in most hallways. There was no point in avoiding them. She slowed to a walk and let her ebony wings unfurl. She glared at the one leaning against the wall. "Was this little game all for me? Were you five trying to decide by playing cards to which one gets to find out if I will give him any mercy?," she said with icicles building on in denser thickness as each word was spoken. She stopped about 10 feet away and regarded the the obstacles in her way of freedom. The one leaning against the wall laughed, "Nicely put Storm. Though I think it should be you who is hoping the most merciful guy here wins our game. Were nearly finished and so far I get to have the pleasure of escorting you back to your suite. See, I can be merciful, but the boys here, would love to make you their new punching bag. See having to get up at these early hours, does not sit well with them and to add to the fact that this event has happened at random times since you were 12, well they hate the red hour guard shift. So a little punching practice is a great way to release stress and kill time," Airi said, his words oozing with mockery.